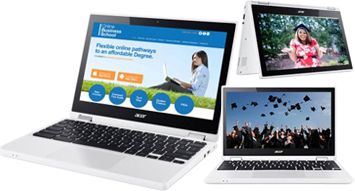 How the flexibility of online learning is helping it gain more popularity. The flexibility of online education is often the most appealing factor, contributing to many students choosing to opt for this route over a more conventional education. Whilst it promises things like convenience and more freedom, flexibility itself also has a positive impact on the student’s overall learning. How are students benefiting from flexible learning? Flexible learning provides students with full control and accountability for their learning. Rather than having to show up to a class as a requirement, they are able to decide and allocate time for their learning. This control not only allows them to co-ordinate their education around their commitments but ensures that they are learning at the best time. For example, some students may work better in the evening but traditional education may restrict them by only offering classes during the day. Flexible learning allows the student to decipher when and how they will learn by tailoring their course to their own capabilities. This ultimately leads to them retaining information and producing better results. They also have the advantage of learning at their own pace which can help to alleviate a lot of pressure. Teachers often speedily run through concepts and then follow up with a task that students are required to complete. This can pressure individuals to quickly complete the task but does not leave space for students to ask questions. If the student has not understood a concept or idea that the teacher has explained, they are not able to complete the task to the best of their ability, therefore hindering their own learning. The flexibility of online learning allows students to slowly grasp concepts and ensure full comprehension before moving forward. Again, this leads to achieving better grades. How are institutions helping students by providing flexible learning? Flexible learning has shifted the entire focus of education from the instructor’s teaching onto the student’s learning. Students were previously required to simply listen in class and then memorise information for a final exam. However, flexible learning is forcing institutions to re-think how students are being taught and whether this traditional method of teaching is ultimately beneficial. Every student has a different learning style but traditional education does not cater to them all. Therefore, by changing the teaching styles and the way that students are being presented with information, institutions are able to measure its overall impact and outcome. By providing students with the liberty to teach themselves and experiment with various learning methods, the student not only becomes more accountable for the way that they are digesting information but it also helps to shift the responsibility onto the student. When students feel more responsible for their learning, they are more likely to be dedicated and therefore work harder. Institutions are quickly recognising the value and impact of online learning components and are now beginning to implement them into their teaching. This not only helps to keep students engaged but saves time by teachers not having to allocate tasks in the classroom. Some courses expect students to participate in online quizzes and discussions aside from attending class which can contribute to students being more interactive whilst being fully engaged in the things that they are learning. The flexibility of online learning itself allows for more self-discipline and also helps students to gain life skills that they can later implement within the workplace. This is something that is often neglected in traditional education whereby students do not prioritise self-growth whilst having to constantly attend classes. Being able to demonstrate that they have acquired these skills through online learning can ultimately contribute to the student acquiring a more senior position within an organisation. Therefore, flexibility itself has an enormous impact on the way that students are learning so its alluring nature has complete validity. Providing an individual with the option of how they learn is integral to their success. With the rapid progression of technology and its integration into our everyday lives, the prospect of it being used as a tool to aid education and learning was inevitable. There are now countless electronic devices available, from mobile phones to tablets, making it possible to access information wherever you are. This not only creates a space for online education but also presents learning as an option to those who may not previously have considered further study. Instead of being present in a classroom every day, online offers you the opportunity to learn and take your classes from home. Whilst it still requires you to take exams and complete assignments, it creates more flexibility and therefore is often more appealing over a traditional education. You are able to access learning material as long as you have an internet connection, meaning that you do not have to commit to travelling to a class at a set time. Online learning makes education available to everyone and is also carried out through various teaching techniques, thereby appealing to every type of learning style. It provides all students with the opportunity to thrive. Whilst some remain hesitant about choosing online learning over a conventional education, one only has to look at universities and the way that they are already utilising technology to aid learning and efficiency. For example, reading material is often posted online and students are directed to relevant resources on the internet to broaden their understanding. Universities also use virtual softwares such as BlackBoard to allow students to access modular information and material. Most university libraries even offer e-books which are invaluable to students and can help to reduce their time and costs. However, the use of technology also reduces costs for universities, for example students are often required to submit assignments online through softwares such as Turnitin, which detects plagiarism. This eliminates the need for a teacher to have to sift through to check and compare people’s work, therefore saving money. If online learning were to replace traditional education, it would have a significant impact on budgets of universities. For example, they would no longer be required to print hand-outs or pay lecturers for standing and teaching a class. Although they would need to support students online, it would still reduce their time and cost. Technology has changed the face of education and is already being used so effectively, demonstrating that it can be and is a successful way of learning. The evolution of technology inevitably means that it will continue to replace and improve aspects of traditional learning. Younger people are quickly becoming accustomed to using the internet to seek information which is inevitably impacting the way that they digest and absorb information. Therefore, it is important for education to develop and change in order to cater to this type of learner. There has already been a rise in online learning and it is quickly becoming a prominent way of gaining an education. In a society that is becoming reliant on technology, it only makes sense for online education to develop into the predominant way of learning. Many online education providers make up for the lack of social interaction between students by providing a student forum where the students can communicate and share their ideas. They might want to discuss a particular assignment that they are currently on or get answers to a question that they know they will receive a direct response for. With online education garnering more and more attention along with students, below we discuss the benefits of online forums. Students who are not as confident in a social environment may find forums help them to be able to have that extra time to put together their response. In a traditional university or a group conversation they perhaps may not share their opinion however an online forum provides them with the freedom to express their ideas. As they offer more input to their discussion online and become comfortable voicing their point of view, it may encourage them to participate in group conversations that are not online. It’s not to say that online forums can only benefit those who are lacking in social skills; even those who excel in expressing their opinions in a group conversation can use online forums to hone their listening skills and being able to critique what others have said. Observing how others gather their thoughts and form opinions helps every student to improve their own communication skills. The quality of conversation will often be higher than face-to-face as students know that professors have the ability to access their posts. Regular use of an online forum provides a bank of resources that students may find useful to refer back to. Rather than digging through piles of crumpled paper to look for group discussion notes or hastily written minutes, they can simply scroll back to when the conversation took place to remind themselves of what was said. Some may be reluctant to encourage students to spend more time online however this does not need to be the case. Students can set up their account to receive notifications by email or other preferred contact type. 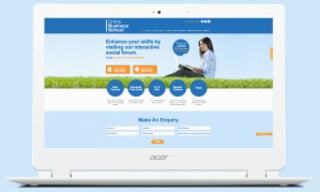 We can see that forums are a highly valuable tool in the education sector. When used effectively, they ensure that students are improving their communication skills without even being aware they are doing so. Professors can use them to monitor their students and focus their efforts in engaging those students who may not be as present as others. As the online education sector continues to grow, surely the online forum will become the hub of student engagement.